CFL all-stars first awarded in 1962. Most Outstanding Lineman first awarded in 1956 and included defensive linemen, Most Outstanding Offensive Lineman first awarded in 1974. I had overlooked Sheridan in making my list. He was twice nominated as the Bombers best o-lineman, so I have added him here, despite his lack of all-star nods. Injuries caught up with him, and after sitting for a year on injured reserve he was let go. Sadly, he was quite bitter in his departure and threw the Bombers medical staff under the bus. Signed with Calgary but retired a couple of months later before ever suiting up. Too late now but I forgot about Chuck Liebrock. 112 games in 8 seasons (1970-77), no all-star noms or award recognition, outshone by Bill Frank in that era. I thought he was an all star at least once. He was a solid player. You don't play 7 seasons with one team if you aren't good. But others were all stars so they deserve to be there instead. 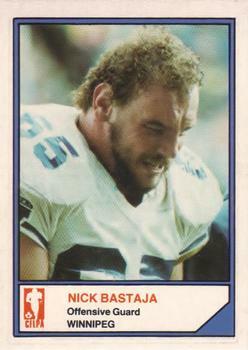 Bastaja - the most decorated of the guards with 6 divisional and 2 league all-star nods, and only one of two Bomber guards to win the Schenley for outstanding lineman in the CFL. Along with Black, Bonk and Walby, was part of a ridiculously strong o-line in the mid-80's that helped Willard Reaves become a star. Black - an ironman with a bit of a nasty streak, he anchored the line throughout almost all of the team's last great sustained run of excellence. LaBatte - the best lineman the Bombers had during his time here, and it took a while to recover once he left via free agency. Loses points for ditching us for the 'Riders. Lear - enjoyed the first taste of Bomber Grey Cup success, and made his name later as an NFLer and Stamps head coach in that perfect 1948 season. Patrick - a big part of the 50's-60's dynasty teams, playing both ways, and logged more games than any other candidate. Also won more Grey Cups than any other, blocked for Leo Lewis, and the only lineman in this group to get an Outstanding Canadian nom. His civic legacy and family tree put him a level above for me. In the end, it's Bastaja's awards and Patrick's family legend that clinch it for me. They are my top 2. Bastaja & Black for me. I don't think that civic volunteering or having 2 sons who played in the NHL should be part of picking one player over another. Players should be judged only by their accomplishments on the field to keep it a level playing field I'm not criticizing you TB4 as you're free to use whatever criteria you like. Just my opinion. Patrick earns my vote based on his play and his success. He and Frank Rigney paved the way for Leo Lewis to weave his magic. And if Kenny Ploen’s 4 Grey Cups make him the all-timer at QB over more physically gifted pivots (as I suspect it deservedly might), then those 4 rings Patrick has count for a lot too. His genetic dynasty is just an added bonus for me. Honestly, no wrong choice with Black, Ceretti, LaBatte, or Butler on pure talent either pairing up with Bastaja, who was top of the heap IMO. The guy we should have paid a lot more money to so we didn’t lose him to free agency and cripple our line for 5 years. Well, I think Ken was an athletic qb as this OT run to win the 1961 Grey Cup will attest. As physically gifted as any qb of his day. Faked the 2 Ti Cat defenders out of their shorts & grasping at air. He ran a Split T offense with the Bombers which meant 3 running backs & 2 TE's with just a flanker & a split end to throw to. It was a run first offense. Ploen was never allowed to really show off his accuracy & arm strength under Bud Grant's offensive system. . He knocked up his girlfriend and nothing we could do was going to keep him. Get over it and move on. 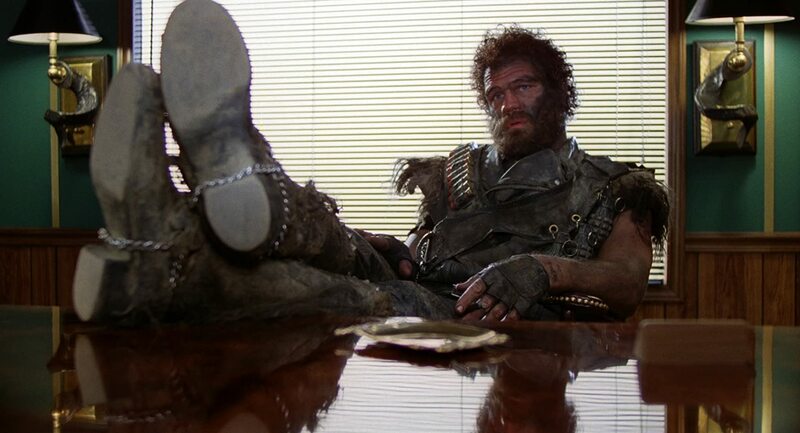 He did some fine colour commentary for the short lived CFL network and gave an Oscar worthy turn in Raising Arizona. Les Lear's 1937 regular season lasted 1 play. He entered the game to start the 2nd quarter and he was ejected for fighting. Lou Mogul was primarily a middle wing (tackle) during his career.